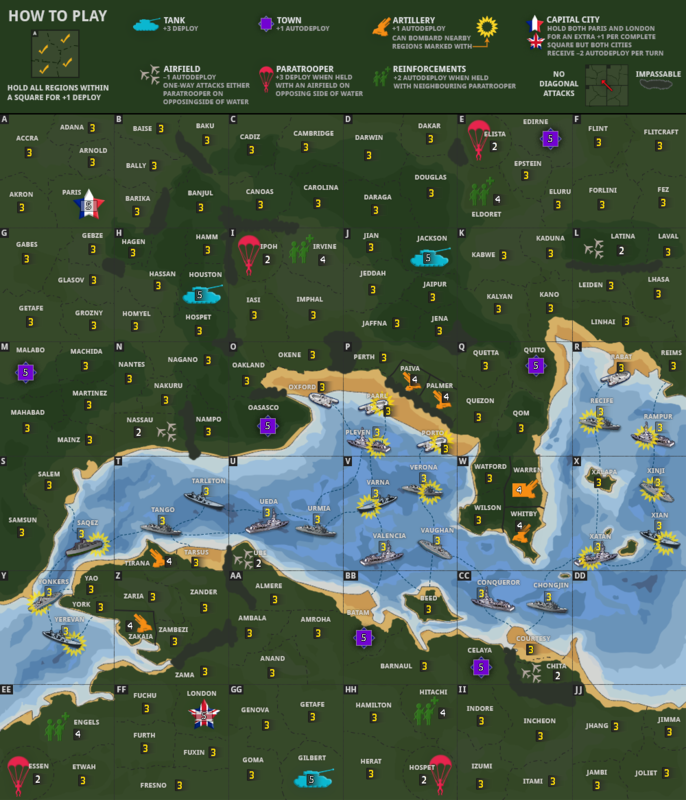 What Makes This Map Worthy of Being Made: A different gameplay concept loosely based around Operation Overlord (the 1944 allied invasion of Europe). 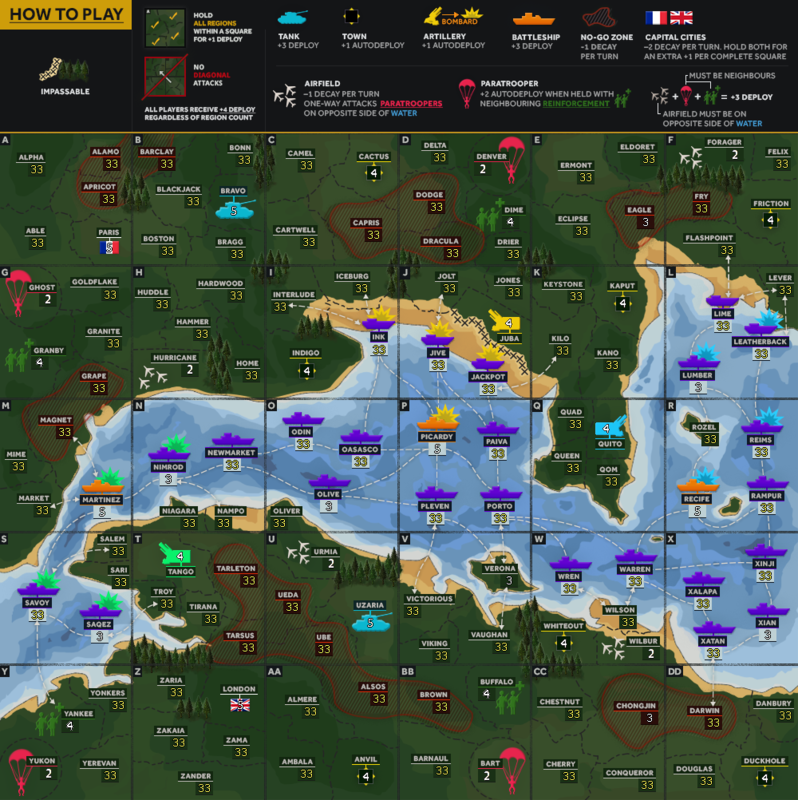 The main strategy of the game centres around controlling bands of territory, which is encouraged through the bonus system of +1 deploy per square held. Designed a ship icon. The previous photographic-style ships didn’t fit with the theme of the rest of the map – tanks, paratroopers, etc. are icons. Ships should be too. Review all bonuses – are capital cities worth it? Added a new bonus – Airfield + Paratrooper + Reinforcements = +3 deploy. The Airfield must be on the other side of the water for the bonus, but you can hold either airfield and any of the rest, making it a bit like a resource pair and a strategy to build on (but it will take troops – Airfields are 2 neutral & receive -1 auto decay, Paratroopers are 2 neutral, Reinforcements are 4 neutral. Last edited by t-o-m on Tue Sep 19, 2017 4:18 pm, edited 46 times in total. I don't understand one thing... why is on your map and that Animated map everything rotated 180° ?? Why is London down and Paris up ? That doesn't make any sense. dakky21 wrote: Why is London down and Paris up ? That doesn't make any sense. That's just your perspective, man! The invasion of Europe took place north to south – from the English shores to the French. We're looking at it from that perspective. You said you don't understand. Do you understand the gameplay? Gameplay is much more important to me and this is what makes it fun to play. You receive +1 deploy for holding all of the regions within a square (this is also described on the map). 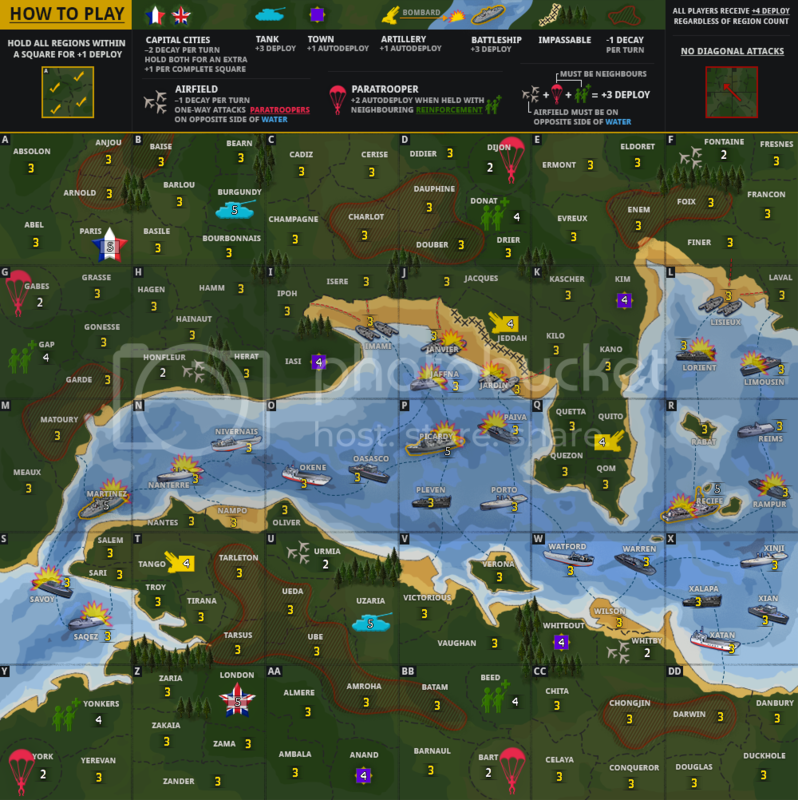 This mechanic encourages players to take control of the map by gaining continuous territory, much like the actual invasion in 1944 or any other battlefield combat. North and south are just figments of our imagination. I grant you, this perspective takes a second to get used to. But this website has over one hundred maps – if you only want to play ones where north is up and south is down, then with all due respect, you have plenty to choose from. Personally I think the land borders should be a bit more obvious. The current ones are way too subtle. mrswdk wrote: Personally I think the land borders should be a bit more obvious. The current ones are way too subtle. Also, how would starting positions be assigned? You don't really want people starting with full squares. I really like the map though. Thanks for the feedback. I will work towards making the regions more defined. You are absolutely right that people shouldn't start with full squares. 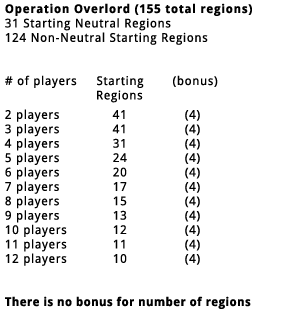 The options are: assigning starting positions, putting a neutral in every square, or tying out another concept in the game that I have been discussing with other players on Global Chat - and that is to have a -1 decay on some regions, a bit like the Dust Bowl map. This would emphasise even more the importance of securing a +1 auto-deploy and force fighting over those regions. 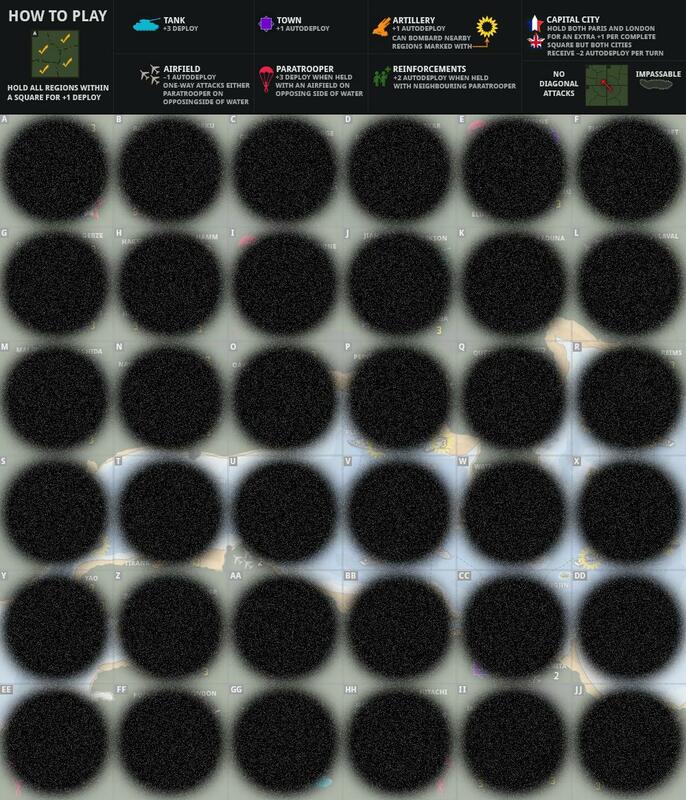 I think this would allow for more +1 auto-deploys on the map and therefore more starting neutrals per square. Will update soon! Add areas of decay to boats? Last edited by t-o-m on Sat Nov 14, 2015 9:02 am, edited 2 times in total. Maybe rotate/ flip a couple of ship images so they dont look so similar? e.g. danbury/ vaughn. look forward to trying this some time. Thanks for your feedback. I'll implement all of those changes. My goal is to have no repeating ship images by the time this map is playable. Hmm perspective, you are terribly wrong... The world has agreed on that therms. We all know where North is on the map, not because North is there but because we all agreed on that and accept it as common knowledge. I imagine writing this on game chat for my teammates: "Drop on Mainz and attack south towards Paris", and he ends up conquering London. You can flush your maps "gameplay" down the toilet. Cant blame my teammate for the mistake so you know when will be the next time I will play the map again? Never. You know how many players will experience the same problems... Way too many. You know what is the perspective of your map to become standard map? NONE Why? I will fill Bug report if the map is even scheduled for beta(for mixed north and south), and my evidence will be plenty. If you want to make a map with perspective... call it PERSPECTIVE, dont waste your time with proposals that wont see the light of the day. P.S. Good map but only if it fulfills common knowledge criteria. I can't tell if you're trolling or just a bit stupid. First of all, if you would like to give criticism, please do so in a polite way. Think about the way that your post is viewed by others who may want to develop a map but may be put off by the harsh tones of messages like yours. I understand that this is the internet, but your point would be more persuasive if you were less belligerent and more careful with your comments. Your single criticism of the map is that players may be confused with north and south callouts during team play (I can’t imagine a scenario where this would affect standard play). Personally, I’ve never discussed gameplay in those terms, nor have I seen anybody else use those terms in my 7 years playing this game. I think that players are far more tactical and talk about specific regions when planning their moves. In addition, if your teammate were to get lost on the way to Paris then maybe you need a better choice in teammates. All in all, the land shapes are barely recognisable as anywhere familiar – the only indicators of north and south are Paris and London. I think your concerns are largely irrelevant to gameplay and can be easily overcome. This map is set in 1944, a year when power in mainland Europe is shifted from the Axis to the Allies. 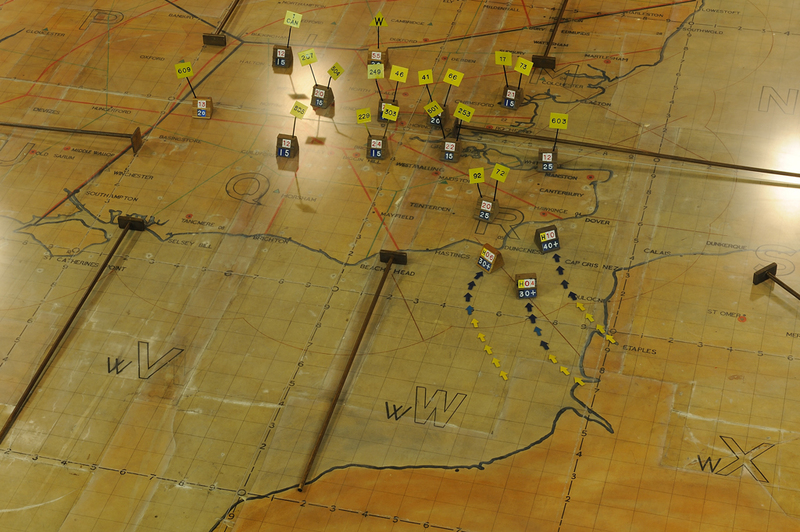 The Allies were the victors, and this map clearly centres on the Allies’ perspective. 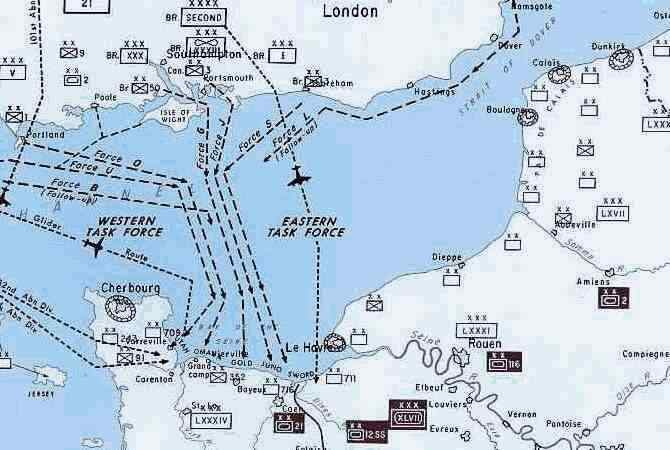 As I said, this is a map about WWII & Europe – but London & Paris are the only capitals on the map? Surely this is an indicator of the scenario that the player is in. They are not fighting to occupy lands or to create an empire spanning oceans, they are working to regain territory and to build a chain of regions where they can create a front-line to fight from. That’s what happened in 1944. This strategy is built into the gameplay with the grid & the bonus structure. I hope that you can see that. Now how does this perspective make the map south-north oriented? Because that’s the direction the Allies headed. They were going forwards. 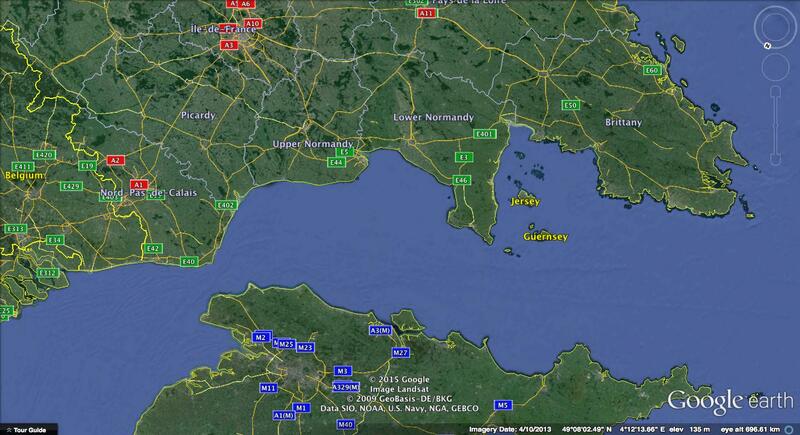 Forwards over the channel and into France. South – if you want to describe it in that way. North, south, east and west are relevant in many things. But those terms are not relevant in this game. Regardless, it’s important that people feel free to speak their mind, so please vote in the poll that you’ll see at the top of the page or comment in this thread. The poll will be up for 7 days. Last edited by t-o-m on Sun Nov 15, 2015 4:58 pm, edited 1 time in total. Ok I've just seen this for the first time and as a WW2 buff (particular D-day and associated events) I love the concept, will have a look through in more details later. I can understand the perspective. It's peculiar, but perfectly comprehensible. This is what someone probably would have seen at SHAEF. 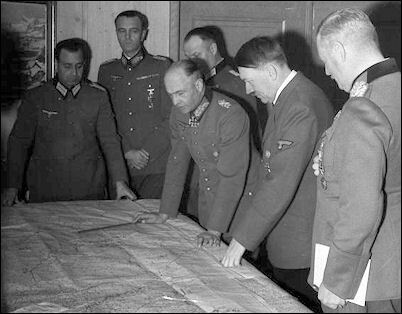 There would be a big map table in the middle of the room, and officers could look at it from any direction. I can visualize Ramsay, Eisenhower, and Mallory striding up to the map table and looking at it from the north (British) side and seeing the south (French) side as the far side. Tazzy_J wrote: Ok I've just seen this for the first time and as a WW2 buff (particular D-day and associated events) I love the concept, will have a look through in more details later. Thanks for your comments Tazzy. If you have any way of making it more historically accurate (for example moving bonuses/objectives around while keeping the gameplay balanced) then let me know. Dukasaur wrote: I can understand the perspective. It's peculiar, but perfectly comprehensible. This is what someone probably would have seen at SHAEF. There would be a big map table in the middle of the room, and officers could look at it from any direction. I can visualize Ramsay, Eisenhower, and Mallory striding up to the map table and looking at it from the north (British) side and seeing the south (French) side as the far side. 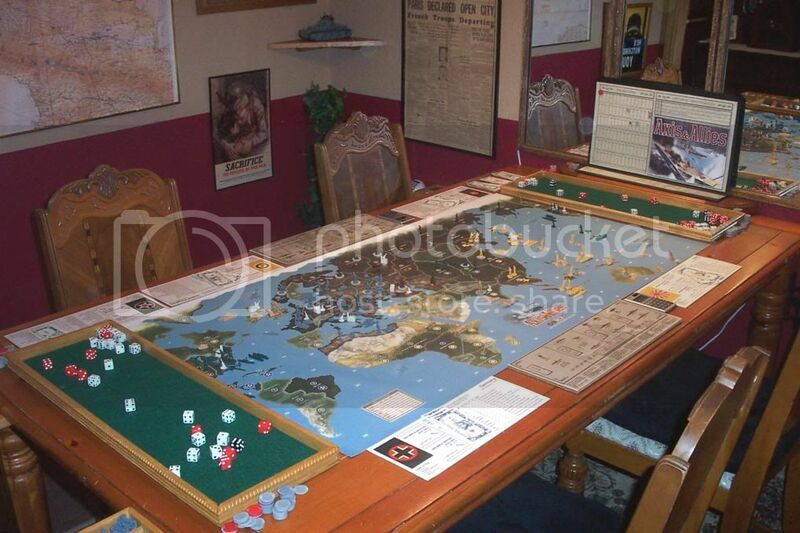 That's exactly how I imagine it too (the map on the table). It's all about how you look at it. Please point out any mistakes or unclear connections. Keep at it TOM. I think you are doing a great job. my only thought now (apart from when Can i start playing it) is the impassable trees need to be brought up a bit in the legend. thelord wrote: Keep at it TOM. I think you are doing a great job. Thanks thelord! I truly appreciate your feedback. You're right about the legend – I think I'm going to re-work it a little bit to see if everything can be clearer. t-o-m wrote: That's exactly how I imagine it too (the map on the table). It's all about how you look at it. Just a second... ok, the map is on the table... and I'm looking at it upside down. But, you notice the map in the background of this image which you posted? Do you see Britain on the upper part or on the lower part of the map? I wouldn't mind at all if it was east-west rotated. But north-south can't work, or it can, but then write all the territory names upwards down as well, so we all know we're looking at a map from an opposite side. dakky21 wrote: I wouldn't mind at all if it was east-west rotated. But north-south can't work, or it can, but then write all the territory names upwards down as well, so we all know we're looking at a map from an opposite side. Why? It's unrelated to gameplay. dakky21 wrote: But, you notice the map in the background of this image which you posted? Do you see Britain on the upper part or on the lower part of the map? This map isn't about Britain. It is focused in all the way to the English Channel.